The present state flag was adopted by the 1957 legislature. The present state flag was adopted by the 1957 legislature. The flag is royal blue with a gold fringe. Pictured in the center of the flag is the state seal. 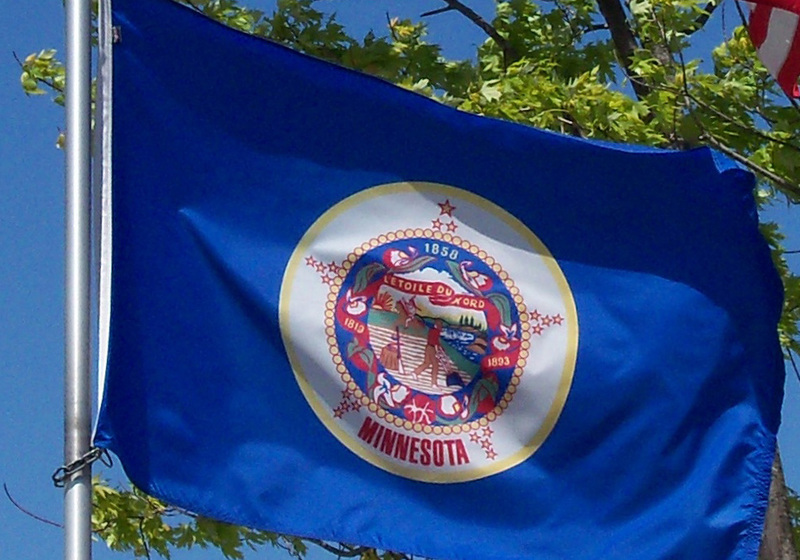 Three dates are woven into a wreath of the state flower: 1858, the statehood year; 1819, the year Fort Snelling was established; and 1893, the year the original flag was adopted. Nineteen stars ring the wreath, symbolizing the fact that Minnesota was the 19th state to enter the Union after the original 13. The largest star represents the North Star and Minnesota.